In February of 2009 I visited the monarch overwintering grounds in Central Mexico and had the opportunity to work with many Mesoamericans. When I stumbled on Jon and Pamela Voelkel’s Jaguar Stones series after that trip, I was immediately hooked. A rip-roaring adventure set in Central America, the series is perfect for middle grade and YA readers who also love Rick Riordan’s books. 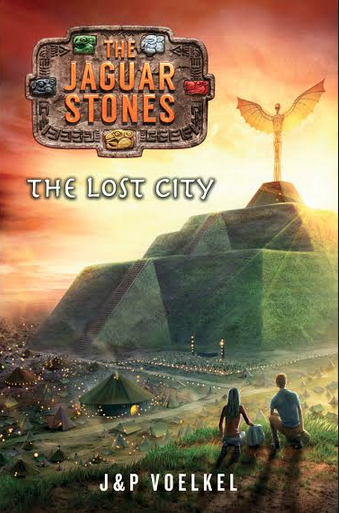 The fourth book in the series, The Jaguar Stones: The Lost City, is available now! I met Jon and Pam at NCTE this year, after many years of chatting about monarchs on Twitter and just missing each other at various conferences. They are just as wonderful as you would imagine! Jon and Pamela were kind enough to stop by the blog today and in honor of Valentine’s Day they are writing about their relationship as co-authors. One night, just when we’d started thinking about writing a book together, Jon and I went to a book launch at our local bookstore. The authors were Melinda and Robert Blanchard, owners of a restaurant in Anguilla and a salad dressing business in our little town. Their talk mesmerized me. They said they’d always been prepared to work longer and harder than everyone else, but their big advantage was that, being a couple, they could pursue their dream twenty-four hours a day. As Jon and I walked home through the rain, I figured that formula could work for us too. We’d worked together before in advertising, but never in the same department or even on the same floor. I was the Creative Director, he was the Planning Director. The idea of writing a book was all his. It was based on a series of bedtime stories he used to tell our three children, which in turn had grown out of stories from his own childhood in Latin America. Jon wrote the first draft, which was like a junior James Bond, full of explosions, very little conversation and no female characters. But I loved the story about a city boy lost in the Maya rainforest – and it seemed to me that middle-schoolers would love it too. We passed the manuscript back and forth for months, Jon writing the action scenes, me concentrating on dialogue and characters. We must have written that first draft twenty or thirty times. Along the way, we read books about the Maya and travelled in the rainforest. Then we discovered that Maya archaeology had moved on and the books were out of date, so we had to start again. It really helped to have two of us to share the required reading. This is one of our wonderfully wacky wedding photos. We got married in Bogota, Colombia, and the photographer neglected to mention that he’d be dropping in random backgrounds. 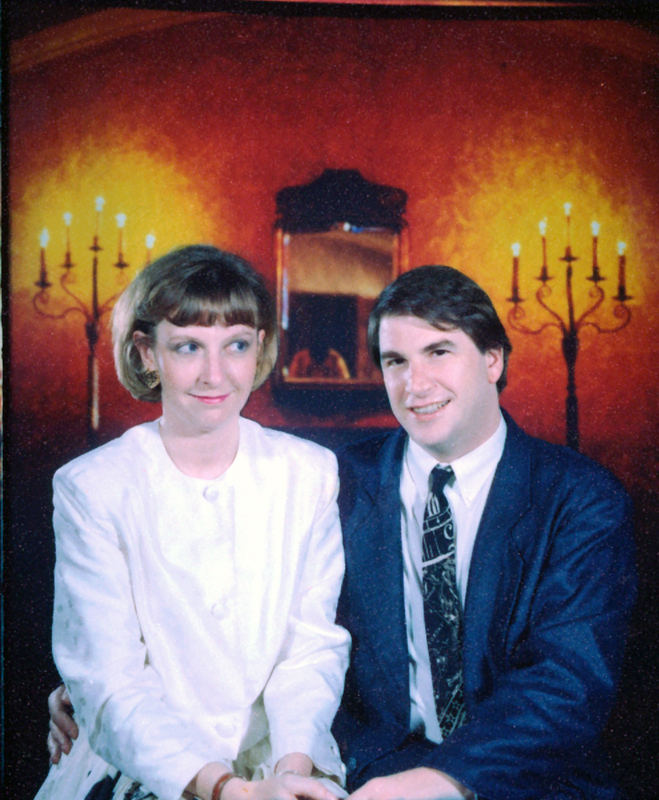 Other shots show us standing in fields of flowers and on mountaintops at sunset, but this one is the tackiest. You can see the photographer in the mirror. And by the way, please admire my rock-hard helmet of hair, courtesy of a local beauty salon. It’s the most uncomfortable wedding photo ever! Do we ever want to kill each other? Only every single time we debate plot points. But more often than not, we settle on a third way that comes out of the logic of the story. We’re both bossy, opinionated people and, if I’m honest, we can lock horns about anything. We’re like that couple in Woody Allen’s Radio Days. “You’re wrong, I tell you. The Atlantic is greater than the Pacific.” So maybe it’s good that we can channel our differing points of view into one narrative. I hope that the force of our feelings strengthens the story. Where solo authors have to listen to voices in their head, we can talk out loud in the kitchen. Our children sometimes complain that we refer to our characters as if they were members of the family. Which, of course, to us, they are. For all my argumentative ways, I’m not a confident person. I don’t think I would have survived the rocky road to publication on my own. Even back in my advertising days, what I loved most was working in teams and trading ideas and brainstorming. I’m pretty sure I wouldn’t enjoy book tours on my own, or presenting in schools. It’s so great to have someone who can cover for you when you forget what to say, or who can keep talking while you hunt for the dongle. Plus it’s much more fun to have a co-author to eat dinner with in the hotel at the end of the day. We totally believe that between us, if we put our minds to it, we can do anything, ANYTHING. We have never forgotten that rainy night when we listened to the Blanchards at our local bookstore and vowed to dream big and work hard and stick to our guns and find a way to tell the story that was in our heads. Now our books are in that very same bookstore window. The past summer, I read Eliot Schrefer’s Endangered in one sitting. (My review here). I’ve been thinking about it ever since, so when I decided to query authors for Full STEAM Ahead, Eliot immediately jumped to mind. The research he conducted for the book took him all the way to a bonobo sanctuary in the Democratic Republic of Congo. You can’t get more hands-on in science than sitting amongst the bonobos and interacting with them and their caretakers! And what I really love is that the story began with Eliot researching where the name of his favorite store, Bonobos, originated. Talk about real-life applications of research! Eliot contributed some Q and A about the way science influenced his writing. Specifically, he is here today to talk about the time he spent at Lola ya Bonobo Sanctuary in the Democratic Republic of Congo. He has even shared some video clips of the time he spent at the sanctuary! Q: Did you make any surprising observations about bonobos at the Lola ya Bonobo sanctuary? A: One thing I discovered while I was at the Lola ya Bonobo sanctuary in the Democratic Republic of Congo was that the orphans really don’t like men. I’m a smaller guy, so they didn’t mind me too much, but whenever I had an orphan on my lap and one of the larger men on the staff—a gardener or a guard—would come over, the orphan would immediately be on his feet and crying for her surrogate mother to come over and hold her. Of course, it was mostly likely men who came into the forest and killed that orphan’s mother. The young creatures receive so much love at the sanctuary, and have such a good time playing with one another, that it’s easy to forget where they all came from. But the immediate, visceral fear on an orphan’s face in the company of men made it all come back. They are 98.7% human, and extraordinarily sensitive. They’re as likely to forget about losing a parent as we would be. Q: Did it concern you to write about animal welfare in a country with so much human suffering? Often I am asked whether I do not feel that it is unethical to devote time to the welfare of ‘animals’ when so many human beings are suffering. Would it not be more appropriate to help starving children, battered wives, the homeless? Fortunately, there are hundreds of people addressing their considerable talents, humanitarian principles and fund-raising abilities to such causes. My own particular energies are not needed there. Cruelty is surely the very worst of human sins. To fight cruelty, in any shape or form— whether it be towards other human beings or non-human beings—brings us into direct conflict with that unfortunately streak of inhumanity that lurks in all of us. If only we could overcome cruelty with compassion we should be well on the way to creating a new and boundless ethic—one that would respect all living beings. We should stand at the threshold of a new era in human evolution—the realization, at last, of our most unique quality: humanity. I feel like being a sensitive adult leading an examined life entails a low level of guilt— this nagging feeling that we’re not doing enough to help others, that there’s so much to be improved but no clear way to help. Normally that guilt can be ignored, but it’s brought to the surface when we face suffering directly. One of the ways to hide that guilt back away is to say that some sufferings are outranked by others and can therefore can be ignored. But that’s a sure route to not doing anything about any of them. At some point you have to trust in compassion and the support of others, that someone else might take care of the rest of the world’s woes if I help this specific creature in front of me. Bonobos also serve as the ambassadors for a number of less adorable species. Congo has one-eighth of the world’s forests.1 By protecting them for the sake of the bonobos and chimpanzees and gorillas, we’re also protecting the insect, amphibian, reptile, plant, and mammal species that reside there. Benefitted, as well, are the tribes that live within the forests and steward a huge plant biomass that tempers global warming. Bonobos at the Lola ya Bonobo sanctuary, outside of Kinshasa, using rocks to crack nuts. Video shot by Eliot Schrefer. 1Wolfire, D.M., J. Brunner and N. Sizer (1998) Forests and the Democratic Republic of Congo. World Resources Institute, Washington, DC. I love that Eliot Schrefer devoted so much time to the biology and zoology of the bonobos, determined to get it right for the book. It was certainly worth it! I knew very little about bonobos before reading Endangered, but I haven’t been able to stop thinking about them since I finished reading it. The science and research aspects are so realistic and I imagine they will inspire many readers to learn more about the great apes. Maybe Endangered will even guide some readers into conservation or zoology! How great would that be- students reading about math, science, or engineering and then jumping into a career inspired by that reading! But even if the reader doesn’t become a zoologist or an environmental scientist, Schrefer’s book (and the story behind the book) will bring the bonobos to the forefront in many readers’ minds. STEM may seem like an overused buzzword, but it is vital that our students understand the world around them. Reading about bonobos, an endangered species, will hopefully inspire our students to protect the world they will one day inherit. And understanding science and conservation is vital to being someone those in charge listen to. As English teachers, we can introduce our students to STEM, compassion, and empathy at the same time. 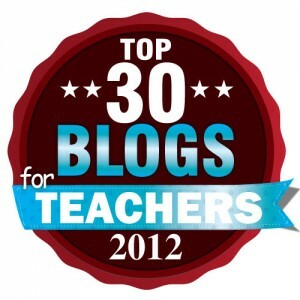 Anne, thank you so much for agreeing to be interviewed on TheReadingZone blog. 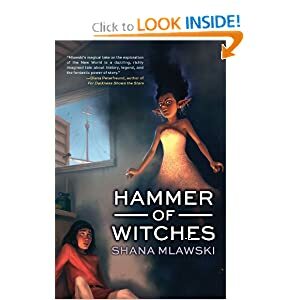 I am currently a high school teacher (former middle school teacher), so I don’t read a lot of middle grade novels these days. However, I have been sharing Breadcrumbs with EVERYONE I know. On the first day of school I gave my ARC to one rising sophomore, with a waiting list after her. I know it will be a big hit with my students. I am dying to know what inspired the book. Did the characters come first, or was it the story? I was actually inspired originally by the fairy tale of “The Snow Queen.” I’d never read it as a child, and when I finally did I was struck by the story of a boy and a girl who are best friends until, one day, the boy changes. This happens all the time when you’re a kid—you lose friends as you grow. But in this case, the girl decides she’s going to get her friend back. I loved that. Have you always loved fairy tales? Did you find it easier or harder to write with the fairy tale world in mind? In other words, did you feel the already-created worlds fenced you in, or did they leave you free to write even more? I adored fairy tales when I was young. I had this anthology of Grimm that was my dad’s from when he was a kid, and I read it over and over. I can still remember what that book felt like in my hands. This might be why I think “woods” when I think fairy-tale-world. too. It was very freeing in the long run. What was it like to reference so many classic, well-loved books? Did you include your own favorites? And what is your all-time favorite children’s book? The references to other books came pretty naturally—I knew I wanted Hazel to be a reader, that she would interpret her world through books she’s read, because those stories are really part of the fabric of her universe, and a part of how she connects with other people. And of course this meant that Hazel would really be interpreting her world through books I read and loved. Some were favorites from when I was a kid—A Wrinkle in Time, The Phantom Tollbooth. Others are books I love now, like The Golden Compass, When You Reach Me, The Wall and the Wing, and of course Harry Potter. Yes! Anne and I are kindred spirits. I am a huge fan of L.M. Montgomery. My Anne and Emily books are some of my most prized possessions! How do you write? Are you an outliner or a fly-by-the-seat of your pants writer? By the seat of your pants is the only way to fly! I wish I were an outliner—I think it would save me a lot of time. But I tend to figure out a story by writing it. Sometimes this works, and everything falls into place. Sometimes it’s a disaster. The original draft of The Siren Song, the second book in my trilogy, was a lumpy, sad wreck of a thing, and after I handed in the draft to my editor I’d wake up in the middle of the night with anxiety attacks. During one of these middle-of-the-night sessions I finally figured out how to fix the book—and it involved deleting and completely rewriting the first 200 pages. Which I did. You would think this would be enough to get me to outline. But if you keep learning from experience, how could you ever repeat the same mistakes? So true! Now for the most important question: what is your favorite writing snack? Popcorn. Airpopped, shellacked in I-Can’t-Believe-It’s-Not-Butter spray and salt. It’s the key to my productivity. At least that’s what I tell myself. Anne, thank you so much for taking the time to speak with me! I hope we hear a lot more about Breadcrumbs over the next few months! On Tuesday, 10/4 at 8pm EDT Anne Ursu (@anneursu) and Bigger than a Bread Box author Laurel Snyder (@LaurelSnyder) will participate in a chat hosted by the incomparable Paul W. Hankins (@PaulWHankins), called “Magic is Real: Magic, Fantasy, and Realism in Middle Grade” under the hashtag #magicisreal. Be sure to stop by and join in! The Magnificent 12: The Trap (available now!) is another fast-paced episode in New York Times bestselling author Michael Grant’s hilarious fantasy adventure series. Mack MacAvoy already answered The Call. Now he must assemble the Magnificent Twelve and avoid The Trap if he’s to save the world from the wicked Pale Queen. But time is short—the Pale Queen’s banishment ends in 35 days and she will be free to destroy the world! Can Mack assemble the Twelve and avoid The Trap? I am excited to join the adventure as a stop on the blog tour. You can join in, too! Read along as Michael Grant introduces characters new and old from the world of The Magnificent 12 and gives sneak peeks at their adventures in The Magnificent 12: The Trap . Each post on the blog tour reveals a clue about a worldly location the Magnificent Twelve visit in THE TRAP. Follow Michael Grant and the characters to each blog until you’ve discovered all eight locations. At the final stop on the blog tour, enter all eight locations to win a signed copy of both MAGNIFICENT 12 books! Plus, you can join The Magnificent 12 online community: Play free games, create an avatar, enter sweepstakes, and earn points at www.themag12.com! Someone, or something, has to take Mack’s place while he’s off finding the rest of the Magnificent Twelve, and that something is the Golem. 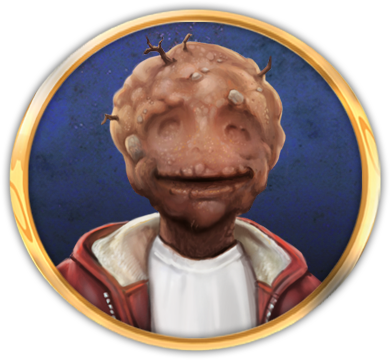 Imagine a slightly-deformed, mud version of yourself and that’s the Golem. Oh, he might have a single long tooth instead of a row of teeth, and his feet might dissolve when they get wet, but luckily Mack’s parents are too distracted to notice much—even the replacement of their son with a ceiling-walking, nostril-less magic creature. In THE TRAP, the Golem is doing a fine job living Mack’s life . . . except that he can’t find Mack’s English paper in the computer (is there even room for paper inside the computer?) and he keeps getting detention. And oh yeah, he might have just agreed to date someone the real Mack definitely does not want to date. Clue: THE TRAP location #6: You can find these massive upright stones arranged in a mysterious circle in England. What you won’t find is an explanation of who put them there. Seriously, what’s up with all these giant rocks? Find the next clue Monday at Novel Novice! Clue: THE TRAP location #1: If you’re in Beijing, China and craving deep-fried crickets, centipedes, and lizards for dinner, this is the place to go. Hint: it’s not McDonald’s! Read it and meet Grimluk at The O.W.L. Clue: THE TRAP location #2: With 9,999 rooms, this is the world’s largest surviving palace complex. For 9,999 bonus points, memorize a map of this place. (Note: We lied—there aren’t any bonus points. But if you still want to memorize a map of 9,999 rooms . . . you’re crazy.) Read it and meet Mack at Mundie Moms. Clue: THE TRAP location #3: People say you can see this Chinese monument from space. We’ve never been to space, so we can’t say for sure if that’s true, but it’s definitely HUGE. For a bonus point, build a model of this monument out of 1 million Popsicle sticks. (Note: We lied again. No bonus points. But we’ll help you eat Popsicles if you want.) Read it and meet Risky at Charlotte’s Library. Clue: THE TRAP location #4: This location is an ancient distinctive rock formation in Germany. It’s sort of like the German equivalent of Uluru, which you might remember from BOOK 1: THE CALL. Giant rocks. Gotta love ’em. Read it and meet Jarrah at Reading Nook. Clue: THE TRAP location #5: This location was home to the ancient Norse god, Thor, before Thor fell to earth and met Natalie Portman and became a movie star. Read it and meet Paddy at Alison’s Bookmarks. I Love Jessica Darling and Megan McCafferty! 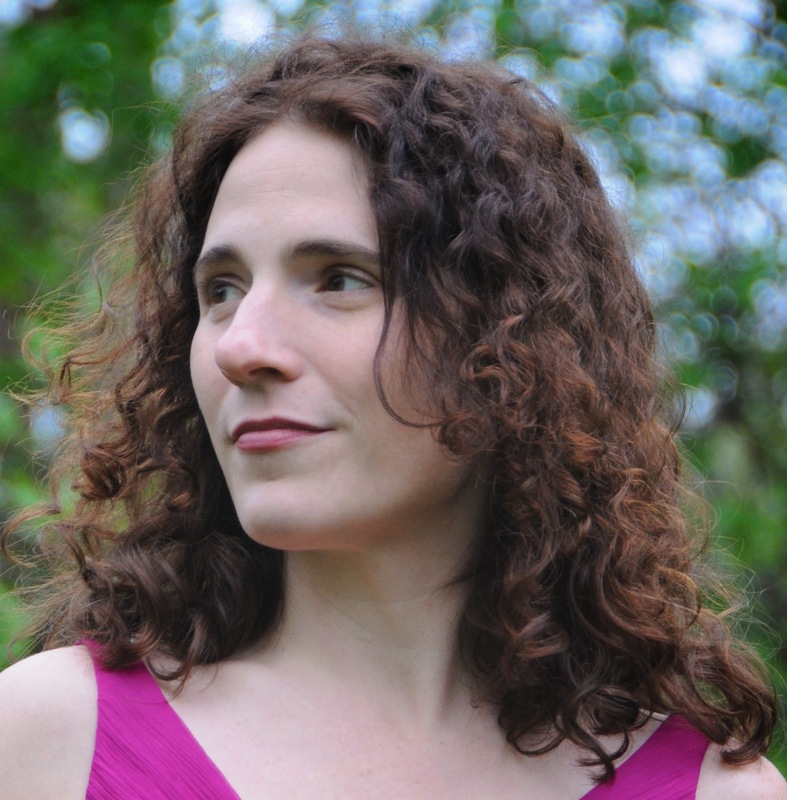 First, a few questions for Jessica Darling! Welcome, Meg! I’m a Jersey girl, and I like to think that Jessica and I are very similar (clearly me projecting). One of my biggest guilty pleasures is MTV’s Jersey Shore. So who would Jessica’s favorite Jersey Shore cast member be, and why? Snooki. Jessica would hate to admit it, of course. But I think she’d have grudging admiration any girl who is bold enough to do a drunken dance-floor cartwheel in a thong. Jessica listens to LCD Soundsystem because James Murphy was so heavily influenced by 80s new wave and electronica. And she reads Jezebel.com and wishes it had existed when she was in college so she could have gotten an internship there. Sigh. More things Jessica and I have in common. I love Jezebel. I’m addicted to celebrity gossip and other ridiculousness. What about Jessica? If she had to choose one celebrity crush, who would it be? Len Levy, lead singer of the multiplatinum band The Mighties. You stumped me there. Now I have to google The Mighties! Itunes, here I come. Forget celeb crushes though. Tell us what Marcus Flutie is like today! How has he changed? How has he stayed the same? What are your future plans? Marcus is happier now than he’s ever been. Let’s just leave it at that. Oooh. An intriguing answer. 🙂 And you, Meg? What’s your life like right now? As for me, I’m working on the idea for my next book. And THUMPED (sequel to Bumped) comes out in Spring 2012. Woot! Can’t wait to read THUMPED! But first, back to Jessica. What was her New Year’s Resolution for 2011? Don’t feel guilty when good things happen to you. I like that. Words to live by from Jessica Darling. So Meg, as you look back to when you were first drafting Sloppy Firsts, what advice would you give to past-Meg? Oh, to be so clueless about the business of selling books. You’ll never be so blissfully naïve again. Haha. I guess there’s nothing better than blissful ignorance. Before the business end of writing came into the picture, you had to draft. What came first? Did Jessica come to you as a character, or was the concept/plot the first thing that you started with? Voice came first. Then I created a character to go with that voice. I struggled with plot, trying to figure out what was going to happen to this Jessica Darling girl that I had invented. The title SLOPPY FIRSTS actually came from another unrelated short story I wrote in college that eventually was published in Seventeen magazine as TRUE BLUE. And what type of writer are you? Do you plan ahead/plot or do you simply fly by the seat of your pants? It’s a combination of planning, inspiration and intuition. I have to know how the book begins and ends, with very flexible ideas for what happens in between. I love making discoveries about the story and the characters as I go along. Those surprises are what keep things interesting for me as a writer—and for the readers. Do you write everyday? Do you have a specific writing schedule? When I’m working on a book, I write from Monday to Friday while my son is in school. I have a minimum word count that I must get done (usually 750 words) before I’ll allow myself to do anything else, like go to the gym or go out to lunch. Once my son comes home, I’m done for the day. I try to keep my writing life and my real life as separate as possible, which can be a challenge because I work at home. And what books are you reading now? Any recommendations? I just finished Anna and the French Kiss by Stephanie Perkins, the most charming romance I’ve read in ages. Now I’m reading Tales of the Madman Underground by John Barnes. It won a bunch of awards for YA fiction, but I think it could have just as easily won accolades if it had been published as an adult title. Thanks for stopping by, Meg! It’s always a pleasure to talk to you. And thank you for giving the world Jessica Darling! Do you love Jessica Darling? Be sure to take part in Megan McCafferty’s SLOPPY FIRSTS: The Epic 10th Anniversary Giving Away of Rare and One-of-a-Kind Stuff. ……BE CREATIVE AND HAVE FUN. I can’t wait to see what you come up with. I can’t wait to see what the fans come up with. And Meg has some fantastic prizes up for grabs, including “A SPECIAL 10th ANNIVERSARY EDITION of SLOPPY FIRSTS. A one-of-a-kind copy randomly annotated in my (Megan’s) very own, very sloppy handwriting .” Umm, yes please! 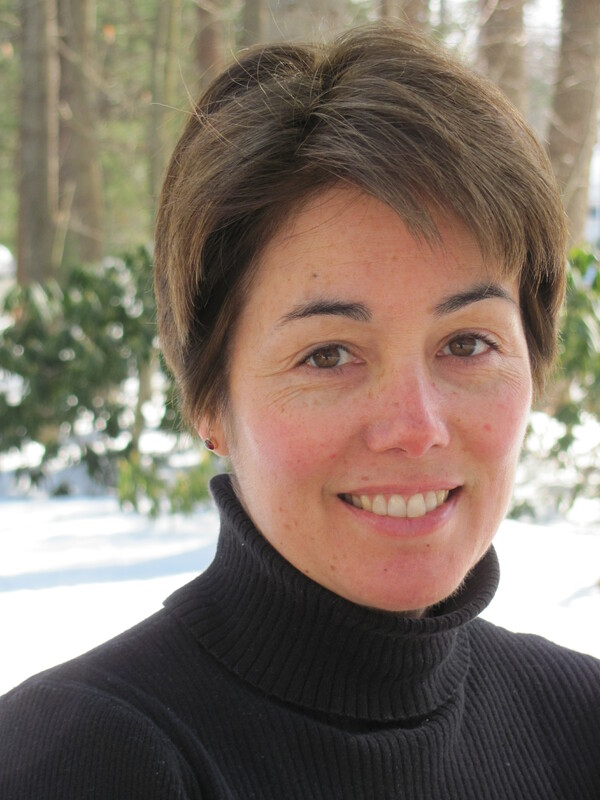 Please welcome Maria Padian to the blog! I recently finished reading her novel, Jersey Tomatoes are the Best. A fantastic realistic fiction story for many of today’s over-scheduled and high-achieving teens, I highly recommend it. It’s much deeper than it appears to be at the surface and would pair well with Laurie Halse Anderson’s work! This is a hilarious and heartbreaking story of two teen girls and the summer when everything changes for them. Both Henry and Eva are New Jersey natives and excellent athletes: Henry’s a master on the tennis court and Eva is a graceful ballerina. When opportunity knocks for both of them the summer before their junior year in high school they throw open the door: Henry sees freedom from her overbearing father and a chance to build her talents on the court. Eva sees the chance to be the best as well as even more pressure to be graceful, lighter, more perfect on the dancefloor. Soon, Eva’s obsession with physical perfection leads her down the path to anorexia, and her health issues overwhelm everything else. 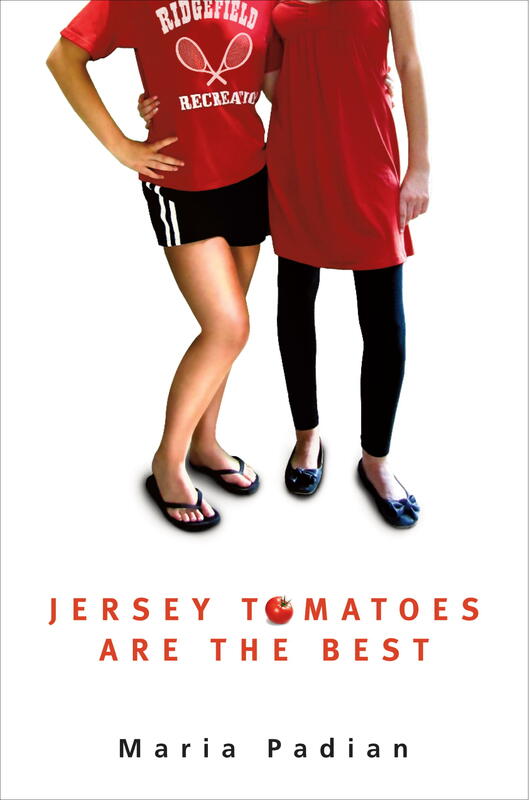 But through it all these two best friends know that Jersey Tomatoes are the Best, and nothing will come between them no matter the distance. Thanks so much for agreeing to be interviewed at thereadingzone, Maria! I read and loved Jersey Tomatoes are the Best. When you first got the idea for Jersey Tomatoes are the Best, what came first? Did Henry and Eva come to you as characters, or was the concept/plot the first thing? I wanted to write a story about kids under pressure because everywhere I look I see young people bent beneath the weight of expectations, parental pressure, homework, you name it! I was playing around with that idea when the character of Henry developed. I’m a great believer in the “plot follows character” method of writing. If you know a character, you’ll know what he/she will do, and their story unfolds before you. I also need to hear a character’s voice in my head before I can start writing his/her story, and Henry had a very distinct way of speaking right at the outset! The big surprise in this book was Eva: she started off as a minor character and Henry’s sidekick. But then, she took on a life of her own, and when Henry was set to leave for tennis camp in Florida, I commented to my teenage daughter, “I’m about to abandon Eva in New Jersey and my editor won’t like that.” My daughter sighed, threw an armload of her books on my bed and said, “You clearly need a two-narrator novel. Take a look at these.” The entire novel changed at that point. 2. Why did you choose New Jersey as your setting? I’m a Jersey Girl! I grew up in northern Jersey, in a small town called Allendale. It was a wonderful place to be a kid and I have terrific memories of riding my bike across town to play tennis at the public courts with friends. It was just pure fun to place Henry and Eva in the Garden State. 3. 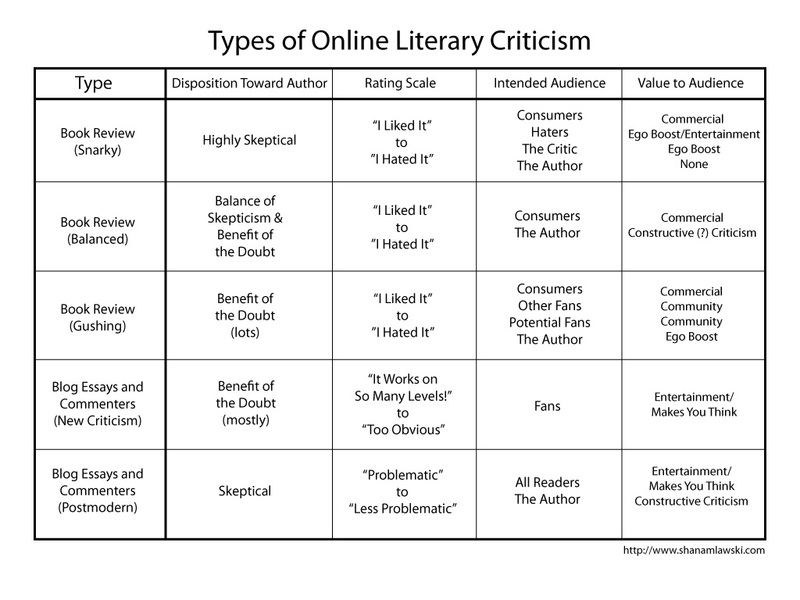 What type of writer are you? Do you plan ahead/plot or do you simply fly by the seat of your pants? I’m the sort who knows the beginning and the end, but no clue as to what will happen in the middle! My challenge is figuring out how to get to the end. My favorite metaphor for writing is that it’s driving, in the fog, with the headlights on. I know my destination and I can only see about 10 feet in front of me. I know if I keep moving forward, I’ll eventually reach my destination. Of course, sometimes, as I’m driving, I’ll see someone standing on the side of the road with his thumb out. Some people might call him a hitchhiker; I call him a plot twist. I can choose to keep driving, or I can let him in. Generally, I try to trust, and let the hitchhiker in, because then the trip gets really interesting. 4. Do you write everyday? Do you have a specific writing schedule? I write every day, usually in the morning, after I walk the dog. I become pretty grumpy if I don’t write each day, and the dog becomes grumpy if she doesn’t walk, so this works for both of us. 5. And the most important question- what is your favorite go-to snack when you are writing? Chocolate, of course. In pretty much any form. 6. I have to admit, I moved Jersey Tomatoes are the Best up on my pile for a few reasons. First, I live in NJ and I am a Jersey girl through and through. Second, your author bio says you have an Australian Shepherd, and so do I! I’d love to hear a little about your Aussie! My Dublin is almost 2 years old and keeps me active, laughing, and learning. Dublin: what a terrific dog name! Our Aussie is Frisbee, and she is without a doubt the most intelligent, most athletic member of the family. To steal a phrase from one of my favorite fictional characters, Eloise, Frisbee is “my mostly companion.” At any give time of day I can look up from where I work and she is watching me, waiting to play. She always has a ball within tossing distance, and even if you think she’s sleeping, she’s actually waiting … watching … ready to spring to action in a nanosecond. My daughter says a dog is like a banjo: you can’t play a sad song on a banjo, and you can’t be sad if you’re playing with a dog. Frisbee lightens up our whole family; we love her. Thanks so much for stopping by, Maria! It’s been great getting to know you, and thank you for your wonderful new book! I highly recommend it.